Home News STAAR Testing: Maybe Not, Actually. 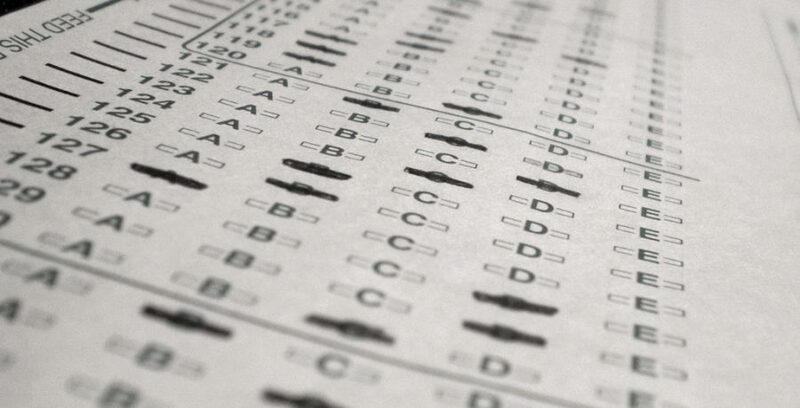 Standardized tests have become increasingly more controversial among citizens over the past couple of years. Last week on Jan. 10th, Texas State Representative Brooke Landgraf authored House Bill 736. The bill aims to entirely eliminate the use of the STAAR test statewide, although not for the current school year. Landgraf stated that schools should value teaching over testing. While some believe them to be an accurate measure of a students’ abilities, others believe them to be a waste of both time and money for students and teachers. Texas students may see an end to STAAR Testing as House Bill 736 makes waves for educators in “The Lone Star State”. Photo by Tim Fields. One of the largest benefits that standardized tests give is that it offers students a clear measure of their progress in a specific subject over the years. These measures also provide benchmarks for parents and teachers, which allows them to identify the problems a student struggles with, and formulate ways to fix them. Essentially, it is one of the most practical ways of evaluating a student’s knowledge in a specific subject. Standardized tests also prevent subjective grading. There have been recorded cases of teachers who give students grades based on their feelings towards them personally, rather than based off of the actual value of their work, uncommon as it may be. Standardized tests eliminate this worry. Standardized tests also provide a curriculum for teachers nation-wide to follow. For example, the Texas State Board of Education creates the STAAR test, which is then given to every student in the state. This gives teachers a concise path to follow during the school year when teaching students. Standardized tests are notorious for giving students a lot of stress throughout the year. Stress among students, of course, is expected, and not a good enough reason to cancel anything. However, this then becomes a question of whether the stress is worth it. These tests really only have one glaring problem, but it is a big one. Teachers end up teaching to the test instead of teaching the subject. And, simply put, a teacher who is teaching a test isn’t really teaching at all. Engaged students are not able to ask questions about the nuances of a topic. Instead, teachers adhere to the questions that will show up on the standardized test. This completely destroys the traditional atmosphere of a classroom and smothers exploration. It’s not like teachers have any say in the matter. A standardized test judges the performance of both the student and the teacher. If a teacher does not properly teach students the material that will show up on the test, then they risk being viewed as an ineffective educator. Thus, standardized tests do not create attentive and curious learners. Instead, they encourage a strict schedule that leaves no room for engaged students to explore the depths of topics they are passionate about. In 2002, President George W. Bush enacted the No Child Left Behind Act. The act required standardized testing for students nationwide. The act became law in 2003. Since then, standardized tests have been a contentious topic for students, parents, and teachers alike since their introduction into the American school system. In the state of California, high school and college dropout rates had been steadily declining since the 1970’s. High school dropout rates hit a low of 11% in 2002, while the college dropout rate sat at 14%. However, after the No Child Left Behind Act was signed into law, those dropout rates reversed, and continue to rise. As of July 2018, the college dropout rate sits at 18%, while the high school dropout rate has hit 25%. Here in Texas, the high school dropout rate is 19%, while the college dropout rate is 22%. The 86th Texas Legislature will run until May 27th. Should the STAAR Test be retired by the state? Hi! I’m an author at CainLive and current junior at Klein Cain. I found my love for journalism and news writing my sophomore year and it is something I plan on pursuing for my career.